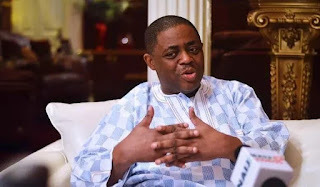 Femi Fani-Kayode, former minister of Aviation, on Tuesday, disclosed that a prominent PDP leader from the Northern part of the country has warned him not to criticise President Muhammadu Buhari again. According to Fani-Kayode, the PDP leader, also told him that only Northerners should criticise Buhari so as not to upset the North. The former minister, however, didn’t mention the name of the PDP leader who warned him. In a tweet, Fani-Kayode wrote: “A prominent PDP leader from the NC told me that southerners should not attack or criticise Buhari.